This entry was posted in Uncategorized and tagged Danish green card program Denmark green card points system Denmark Immigration Denmark Immigration Points Calculator Denmark residence permit denmark work permit immigrate to Denmark work in Denmark on January 10, 2015 by Blog Author. Denmark is one of the most attractive European nations that have been ranked as the happiest nation across the world. This Nordic nation is known for diverse cultures, traditions, dazzling attractions, well-built infrastructure and peaceful environment. Apart from its stupendous natural attractions, it is also known for wide-range of professional and career prospects and high standard of living. Every year thousands of individuals from across the world immigrate to Denmark to enjoy its peaceful environment and crystal clear beaches. Individuals willing to start their new life in an overseas nation can choose Denmark as their dream destination, as it is the only country that has a low crime rate, balanced lifestyle and fine work environment. Aspirants can join this happiest country in a hassle-free way by gaining detailed awareness on its visa options and updated norms. Denmark immigration policy is flexible; it welcomes both skilled workers and students from across the world to work and study in the country effortlessly. Individuals planning to migrate to Denmark from India to explore their skills, to settle in the country permanently and to enhance their career prospects can make use of the country’s green card policy. 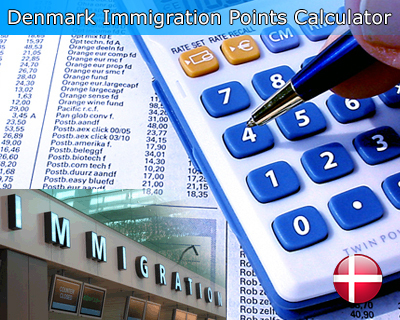 An individual is granted resident or work permit under this new Danish green card program based on the scores he or she has obtained in the points test. But an added advantage for an individual who holds residence allowance under this scheme is that he or she need not obtain separate work permit authorization to work in paid or unpaid services. However an individual doesn’t have the right to initiate his or her own business. 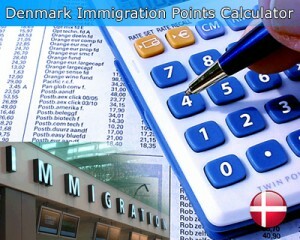 Previously, this Denmark immigration program was applicable only to the individuals willing to work in the country but now, as per the new advancements made by the country’s government this Green card scheme is also valid for students willing to stay in the country after their higher studies to grab the opportunities. Individuals planning to obtain the residence permit under this new program have to score minimum of 100 points in the test. Points are allotted based on potential candidate adaptability, educational level and language skills. Points allotted for your academic degrees and higher educational qualifications are as follows, for Bachelor's degree from medium-length education 30 points, Bachelor's degree followed by one-year Master's degree 50 points, Master's degree 60 points and for PhD holders 80 points. Bonus 30 points will be given for the candidate whose educational levels meet the work requirements of the country’s government where it is lagging in currently. When considering the languages of Danish, Swedish, Norwegian, you should score minimum of 75 points on the whole and 60 points with regards to English or German languages. People who want to migrate to Denamrk with above specifications, can fill out our Enquiry Form, so one of our visa executive will get back to you. Kindly forward your resume to [email protected], so we can contact you soon. actually i did MBA(executive) fallowed by post graduate diploma in business management from UK.i also done MBA(marketing) from pakistan. i m here in uk since 2011.I've ielts 6 bands any chance for me to apply. Can you provide your contact details, so that one of our visa expert will get back to you. my email address is " [email protected]"
I am a 28 year old female english translator. I would very much want to come in Denmark for good with my husband and our 3 year-old daughter. Please, can somebody tell me the steps that I ought to follow in order to come to Denmark? I'am Imtiaz. I have done my Diploma in Business Economics and i have 2 years of experience in Investment banking and 3 years in US taxation. Can you please let me know if i can apply for any jobs ? is it necessary that danish language profeciency is needed for denmark immigration? I'am Chirag. I have done my MscIt and i have 3.5 years of experience in IT field. Can you please let me know if i can apply for any jobs ? Ya, you can. Just forward your resume to [email protected]. Can you please let me know whether the job title`Geologist` is among Denmark immigration positive list ? 1. As a teacher from 1.7.04 to 31.3.05 in a private school. 2.) As a teacher from 1.5.08 to 26.10.09 in govt. aided school. 3.) As a lecturer from 1.1.09 to 31.12.09 in private institute. Experience 10 y as a pharmacist in retail chemist shop. I have B.Sc (Hons) in IT + 13 years expereince with IELTS 6.5. can i go to denmark? (No masters). Also i don't hv any Darnish lanuage qualification, only English. Can I Go to Denmark? Hello Nuwan, thank you for your responce, forward your resume to [email protected]. So that one of our visa expert will get back to you. For solve your quiry, fill our Enquiry Form, so one of our visa expert will get back to you. Hello Syed, thank you for your responce, forward your resume to [email protected]. So that one of our visa expert will get back to you. i have get 5 bands in Ielts. Hello Kaleem, Can you send me your resume to [email protected], so one of our visa expert will get back to you. Hello Ayaz, Can you send me your contact details to [email protected], so that one of our visa expert will get back to you.